A UK man linked to the notorious hacking group, Lizard Squad, that claimed responsibility for knocking Sony’s PlayStation Network and Microsoft’s Xbox Live offline on Christmas Day has been arrested by the United Kingdom police. Lizard Squad launched simultaneous Distributed Denial-of-Service (DDoS) attacks against the largest online gaming networks, Xbox Live and PlayStation Network, on Dec. 25, 2014. Then offered to sell its own Lizard-branded DDoS-for-hire tool called Lizard Stresser. As part of an investigation, the UK Regional Organised Crime Unit, in collaboration with the Federal Bureau of Investigation (FBI), have arrested an 18 year old teenager in Southport, near Liverpool, UK on Friday morning, and seized his electronic and digital devices as well. So far, this is the second arrest made in connection to the attack after Thames Valley Police arrested a 22-year old, named Vinnie Omari, also believed to have been an alleged member of Lizard Squad group, while raiding his London home. 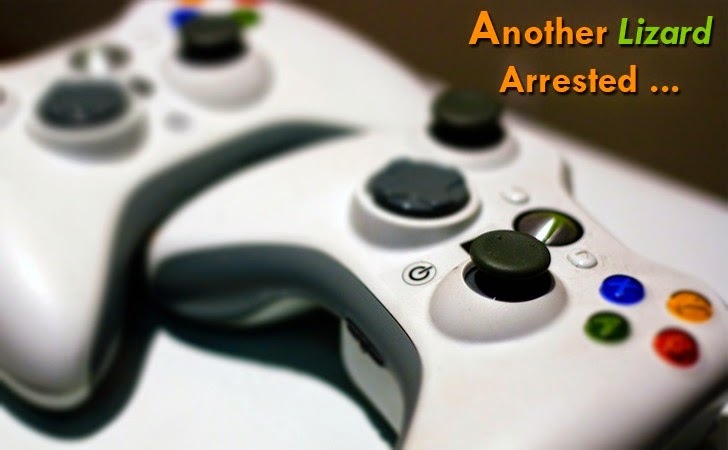 Law enforcement officials reportedly seized phones, laptops and an Xbox from his home. Recent arrest was part of a joint operation between officers from the South East Regional Organised Crime Unit (SEROCU) and the North West Regional Organised Crime Unit (ROCU), supported by the National Cyber Crime Unit (NCCU), though it also worked closely with the FBI for the broader operation. "We are still at the early stages of the investigation and there is still much work to be done. We will continue to work closely with the FBI to identify those to who commit offences and hold them to account," said Craig Jones, head of the cyber crime unit at SEROCU. The South East Regional Organised Crime Unit (SEROCU) said in a statement that the man recently arrested is also suspected of 'Swatting' — that is, knowingly providing false information to law enforcement agencies by "suggesting that a threat exists at a particular location so that police respond with tactical units." Unauthorized access to computer material contrary to Section 1 of Computer Misuse Act 1990. Unauthorized access with intent to commit further offences contrary to Section 2 of Computer Misuse Act 1990. Threats to kill contrary to Section 16 of Offenses Against the Person Act 1861. So far, it is unclear whether the unnamed suspect arrested is a member of the Lizard Squad hacker collective. In the past few months, Lizard Squad hackers group has come up as an infamous hacking organisation by claiming responsibility for some high-profile DDoS attacks against the popular gaming networks, including EA games, Destiny and Xbox Live. A DDoS attack essentially overwhelms a targeted network with too much of bogus web traffic, causing the network to crash and making it inaccessible for legitimate users. In this case, the effect of the DDoS attack meant that Sony’s PlayStation Network and Microsoft’s Xbox Live gamers couldn't access the online services.